A lightweight bout between Anthony Njokuani and Paul Taylor has been added to the UFC on Fuel TV 4 fight card scheduled for June 11 at the HP Pavilion in San Jose, Calif.
Strikeforce lightweight champ Gilbert Melendez (20-2) will put his title on the line against Josh Thomson (19-4) in a May 19 rubber match at the HP Pavilion in San Jose, Calif.
UFC 139 headliners Dan Henderson and Maurico “Shogun” Rua, along with co-headliners Wanderlei Silva and Cung Le, took part in a media conference call Wednesday to help promote Saturday’s fight card. Former WEC bantamweight champ Miguel Torres will face Nick Pace Nov. 19 in San Jose. 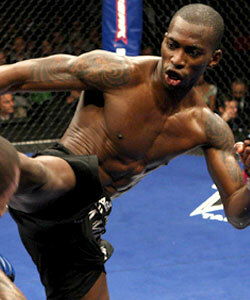 A bantamweight bout between Johnny Eduardo and Michael McDonald has also been added. 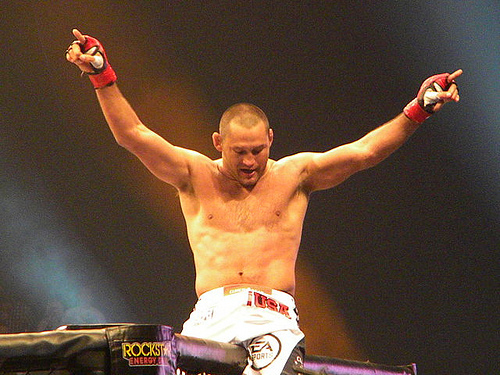 Forty-one-year-old Dan Henderson has re-signed with the UFC and will make his return to the Octagon on Nov. 19 when he faces former UFC light heavyweight champ Mauricio “Shogun” Rua. Former Strikeforce middleweight champion Cung Le will make his UFC debut against former UFC light heavyweight champion Vitor Belfort at UFC 139 on Nov. 19 at the HP Pavilion in San Jose, Calif.
Brazilian lightweights Rafael Dos Anjos (15-5) and Gleison Tibau (23-7) have verbally agreed to fight at UFC 139 on Nov. 19 at UFC 139 at the HP Pavilion in San Jose, Calif., the former home of Strikeforce.